He’s focusing all of his efforts on a large-scale, non-LCS project. 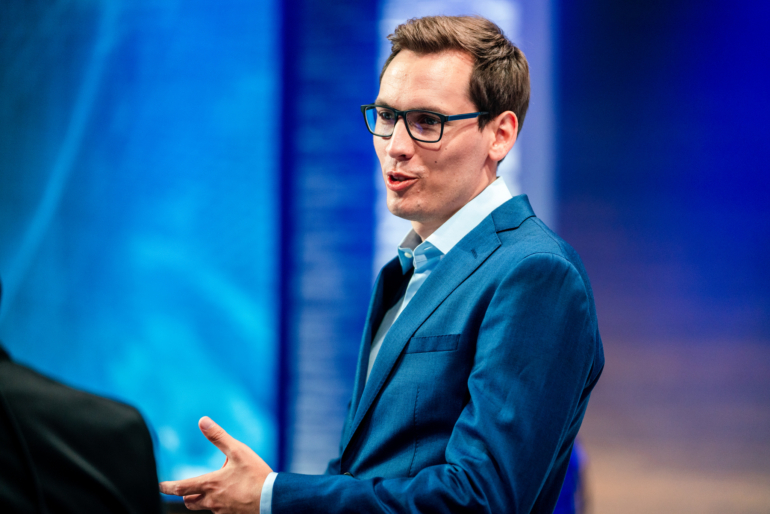 The EU LCS broadcast is about to get a whole lot less Danish, because Martin “Deficio” Lynge is bowing out for the next couple of weeks, according to his announcement today. Deficio will be sorely missed, as his constant stream of energy and willingness to trash-talk have turned him into a fan favorite over his four years of casting for Riot. If you’re one of those fans that hold him up as your favorite, don’t worry too much, because he’ll only be gone from the EU LCS broadcast for weeks two and three. There will be “strong casters” covering for Deficio, according to his own Facebook post, which is reassuring, albeit a little vague. Unfortunately, there’s a bit more bad news to digest if you’re a Deficio-lover. He’s also going to be stepping down from Riot’s EUphoria podcast, too. The reason for the sudden hiatus, according to his announcement, is a currently secret project that apparently demands much of his time. This project, which Deficio describes as “really ambitious and cutting-edge” isn’t at all connected with the LCS. In fact, it sounds like it might not even be within Riot at all, since he also says he’s been working with an “awesome organization” to get it done. It shouldn’t remain obscure for too long, though, because Deficio mentions that his fans will hear much more about it at a later date. He described the project as possibly having implications on his plans for 2019, too, which sounds like he expects it to be finished in 2018 at the latest. The scary part, if you’re a fan, is that it sounds like there’s at least a possibility that he may not return to casting next year. Deficio mentions that after the third week of competitive play he’ll return to focus on casting once more, but he’s unsure of the impact that this new project will have on his casting career in 2019.